Back in 1936, Franklin Delano Roosevelt was fighting the Great Depression and the Jefferson Memorial was under construction - Trunnell Electric also opened its doors to offer reliable and professional electrical services to new home builders and homeowners in the DC region. Run by two brothers, W. K. Trunnell and Leroy B. “Dutch” Trunnell, both were committed to a building a successful family owned business for the long-term. 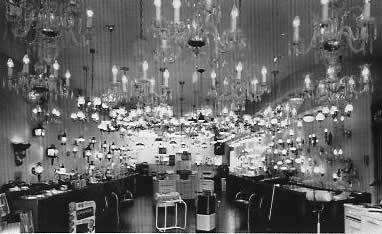 In 1946 they opened a glamorous showroom on Wisconsin Avenue in Bethesda to allow homeowners to choose from their impressive collection of over 400 unique fixtures. Over the years the company grew with the area and through the mid-1960’s became responsible for the electrical wiring of over 65% the new homes built in Chevy Chase, Bethesda and the Upper Northwest in the District. The mid-1960’s were a time of transition as the company expanded into commercial services while still providing reliable service to an expanding list of residential clients. In 1968, after 22 years as an area institution, the lighting showroom was closed and business moved to Rockville. The next 40 years or so saw Trunnell Electric continue to grow their businesss and build a reputation for superior work as well as become one of the top rated electricians in the region. The road has sometimes been bumpy with economic recessions and other challenges which have toppled many similar businesses over the years. Trunnell remains strong and committed to the future. 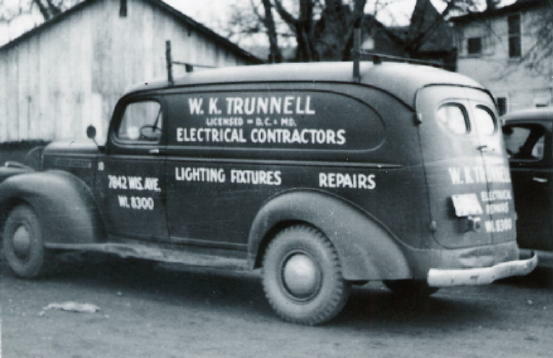 2016 sees Trunnell Electric celebrating 80 successful years in business just as the founders envisaged. The company is now owned and run by the 2nd and 3rd generations of the Trunnell family all of whom maintain a vigorously involved role in the business, and customers are still likely to have one of the Trunnell owners answer their phone calls. The easy accessibility of leadership is a personal touch that is rare in a firm of Trunnell’s size and reflects the Trunnell family’s commitment and connection to it’s customers. The company looks forward to the next 80 years as the leadership team aggressively sets the groundwork for future decades and future generations.